This lab contains two cantilever beams, vibrating beam and damping beam, the First Order Response Lab, and an Universal Data Acquisition System(UDAS). Consisting of a vibrating cantilever beam, an adjustable damper, and an accelerometer, the Validyne Cantilever Beam Lab allows for the measurement of natural frequencies and the effect of damping on the decaying rate of vibrations. 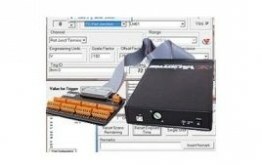 When connected to the Universal Data Acquisition System(UDAS), this solution enables students to make measurements, graphs, and calculations to find the amount of critical damping in the system. 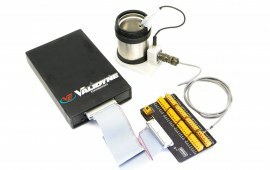 Validyne’s unique Damping Lab give students a “hands on” way to experience and learn the measurement of time response as a function of static loading. When connected to the Universal Data Acquisition System(UDAS), the Damping Lab allows students to make measurements, graphs, and calculations to find the amount of critical damping in the system. 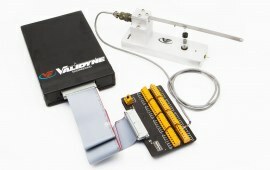 The Validyne Damping Lab consists of a cantilever beam, an adjustable damper, and an accelerometer. This easy to use lab contains everything needed to demonstrate the dynamic first-order response of a thermal system to a step change. Our First Order Response Lab includes a temperature sensor, thermos, and fixtures that allow students to record, then graph the response to a sudden change in temperature. The Universal Data Acquisition System(UDAS), with real-time graphing, provides all the required sensor power and linearization plus records the readings directly in Vdc, degrees C or F.
Contains everything you need to get your lab started. 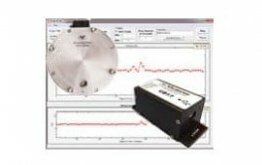 Includes the DP15TL pressure sensor kit that has a DP15 Pressure sensor and 6 diaphragms of user specified pressure ranges, CD15 Carrier Demodulator supporting cables and an optional calibrator. 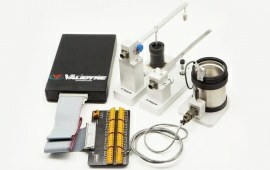 Looking for a low pressure solution for your lab? The “Breeze” kit contains the very low pressure DP103 pressure sensor, 6 pressure diaphragms of your choice, CD17 digital interface, premium graphing package and an optional calibrator. Accepts any mix of Sensor Inputs including Thermocouples, RTDs Strain Gages, LVDTs, VR Sensors Potentiometers, DC Volts. Configure up to 16 channels using the FREE Easy Sense software. Premium Graphing Package Optional. Reduce setup times between labs by swapping terminal blocks & configurations; increasing time students can work on the lab! Compact and Rugged, Accepts Liquid or Gas media. 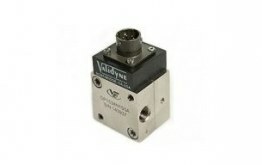 Available in 4-20 mA Two-wire or VDC outputs. Digital outputs like USB, CAN Bus, RS485 also available. Full Scale Ranges from 2.22 inH2O with Excellent temperature characteristics. Comes in a NEMA 4 Housing. Accuracies of 0.25% and 0.1% FS available. 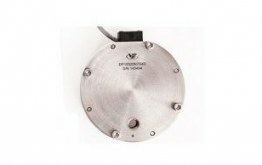 Replaceable pressure sensing diaphragm for easy re-rangeability. Provides pressure measurement from ±2.22” H20 to ±3200 psi in 23 full-scale ranges. Easily connect the DP15 to the CD17 USB digital interface or the Universal Data Acquisition System(UDAS) for digital readings or graphs to your PC. Low Pressure sensor with full scale pressures from ±0.008 pid. Has a high line pressure capability. Accepts Liquids & Gases. Equal pressure inlet volumes with low acceleration sensitivity. Field replaceable sensing diaphragms make measuring different pressures cost effective. What makes Validyne and University Research labs a perfect fit? Validyne pressure transducers and signal conditioning have long been used in University laboratories for graduate research and undergraduate instruction. The ability to change the full scale pressure range of a Validyne transducer makes it the most flexible choice for laboratories where pressure measurements are constantly changing to meet new requirements. 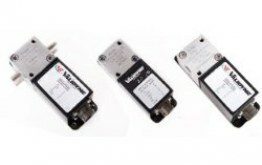 Validyne programmable signal conditioning provides the same level of flexibility and accepts any combination of sensor inputs including strain gages, Validyne pressure transducers, thermocouples, RTDs, LVDTs, resistances and DC volts – in any mix or combination. Combined with Easy Sense software and a USB interface, Validyne signal conditioning can be quickly programmed to meet your changing needs. DP15 Re-rangable Pressure Sensor used in fluid pressure measurement. Connect this pressure sensor to a CD17 carrier demodulator or a Universal Data Acquisition System(UDAS) for graphing capabilities. Dedicated for the development of new medical devices for pediatric and adult patients with heart failure. DP15, DP45 and CD23 used to perform critical research. 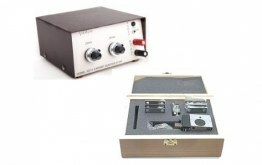 MC1 Module Case with the SG71 Strain Gage Amplifier, AM49 AC-DC Linear Integrating Amplifier, CD90 High Gain Carrier Demodulator used in adapting the signals from the instruments to the recording device. DP45 and FDA approved Pressure Sensor MP45 used in pulmonary research labs. DP103 Low Pressure Sensors used for full scale pressure measurement studies. DP15 Pressure Sensor used in closed circuit vertical wind tunnel to examine the surface pressure distribution and wake velocity profile on a Clark-Y airfoil. The P365 High Differential Pressure Transducer used in a Flow Rate Measurement System for a Mobile Emissions Measurement System. The Second Order System Lab include Cantilever Beam Lab includes a vibrating cantilever beam, an adjustable damper, and an accelerometer and a damping lab to measure its time response as a function of static loading. It can be connected to the Universal Data Acquisition System(UDAS) for graphing capabilities. The First Order System Lab includes a temperature sensor, thermos with connecting wires, and fixtures to detect sudden changes in temperature. The First Order System works directly with the Universal Data Acquisition System(UDAS) DAQ, which provides sensor power, linearization, and graphing capabilities. I have worked at University of California as a research professor for 10 years and after that another 10 years improving the energy efficiency of HVAC systems and research projects. For all my pressure measurements I used Validyne products: transducers, signal conditioners, scanners and data acquisition systems. 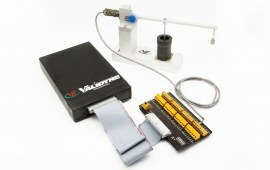 I have been very satisfied with the quality of the Validyne products, as well as the technical support. I strongly recommend Validyne products for pressure measurements in applications which require versatility and adaptability. We have older model Validyne pressure transducers with interchangeable diaphragms along with carrier demodulators that have been in use for 25+ years and are still functioning very well. More recent purchases have been the MC170L 16 slot racks with SG297A strain gage amplifiers for interfacing to large numbers of strain gage based dynamic pressure transducers for surface pressure measurements. Again, these have worked well for the application in a small signal conditioning package. I’ve used the DP-15 differential pressure transducers in my research involving modeling internal erosion in soils. I chose the DP-15 for the precision I can achieve with very small pressure differences as well as the flexibility of the transducers to adjust to larger pressure spans by changing membranes. John D. Rice, Ph.D., P.E., G.E. NEED A CUSTOM LAB SOLUTION OR HAVE A QUESTION?